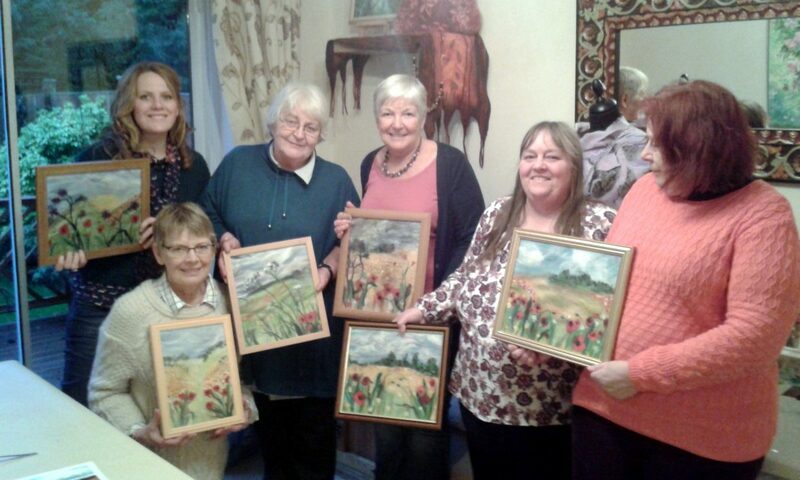 Students at Magic Wool Studio with their finished wool paintings. I am very pleased to announce that I will be teaching the popular wool painting workshops at Bevery Art Gallery in Worcester. Really beautiful place with a lovely cafe and fantastic display of contemporary ceramic work. 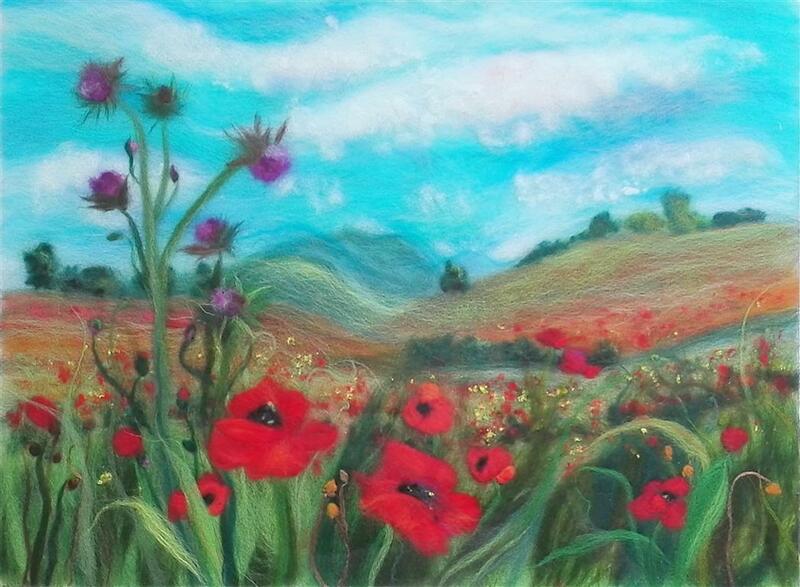 The first wool painting workshop ‘ Fields with red Poppies’ on Saturday 23 rd of February 10am-4pm is nearly full. Only one place available. The next wool painting workshop is ‘Recreate your favourite picture/photo in wool fibres’ wool painting workshop will take place on Saturday 16th of March 10am-4pm at Bevere Art Gallery. Laying and shaping fibres, blending the colours together, creating beautiful textures and effects with a professional Artist is a great experience for complete beginners as well as people with some knowledge of Art and Craft. Following my step by step instructions you will create an amazing picture with some lovely watercolour effects and textures, which you will take home at the end of the workshop. Come around and enjoy tactile therapeutic experience of working with beautiful featherlight strands of natural fibres in a relaxed and friendly atmosphere. Drinks and delicious homemade lunch from our cafe is included in price. Great value for money! Cost £75.